Ever since former MCN editor Adam Duckworth used to let me terrify myself on his KTM 450 SX-F, I’ve always lusted after a 450 to have in the garage. There’s something about the way KTM grabs you that means I’m now spending lunchtimes at Gear 4 in Market Deeping and filling up my garage with orange KTM carrier bags full of things I don’t really need. Pop round and I’ll show you my flip-up brake levers, KTM handlebar pad, amaze you with my David Knight spec orange and black factory replica hand guards, give you a seat on my KTM beer cooler bag, and serve you a drink with KTM ice cubes. 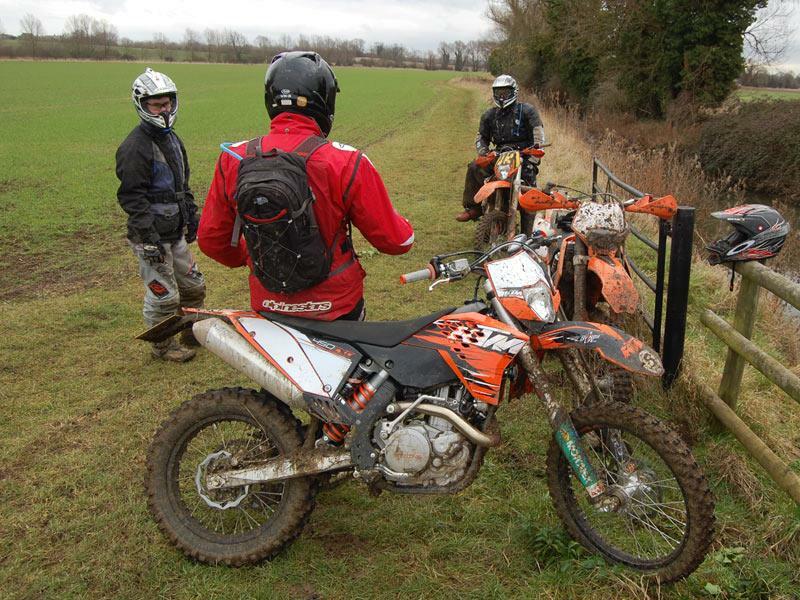 It’s fair to say I’ve become slightly obsessed with going orange and have already started to form an invite-only KTM riding club, which is basically an excuse to have some lads time away from the rest of the world. The 450 EXC grabs hold of you by the scruff of the neck and demands massive respect and if you’ve just stepped off one of the world’s hardest-accelerating road bike, GSX-R1000, R1, Ducati 1198, giving the KTM full gas in the first three gears off-road will leave you feeling ever so slightly giddy and grinning like a maniac. This bike is all about the engine, the drive from chain clattering low revs to ‘oh my god I can’t hang on to this anymore’. Mates said to me not to get the 450 because it’s too heavy, but at 113.4kg, it’s hardly ready for Fat Camp, and their 250s feel gutless in comparison. Plus, I’m not riding the 450 to be world enduro champion, I’ll leave that to David Knight who prefers the 530 because it has more stomp. Nope, I’m riding the 450 because it frightens me in a good way, has that feeling that even with an off-road muppet like me on-board it will pretty much get through, over or up anything. Yes, I may be slightly more tired at the end of a trail or enduro than if I was riding a 250 four-stroke, but a life of zero gym time and a pint most nights after work has seen to that already. What I do know is that the KTM makes me smile more than any bike I’ve owned in the last few years. And, if you walk in to a KTM dealer this weekend, anytime up to April 5, you can bag a test ride on your favourite road bike, check out the latest KTM clothing and accessories and immerse yourself in everything orange.